Growing herbs is a fun, easy way to get some planting in without a garden patch. Borage, a favorite of bees and butterflies, yields delicately-flavored leaves and flowers, both of which are best eaten fresh. As an annual plant, to keep borage in your garden, just leave a few plants alone so that their seeds can re-sow themselves in their plot or container. Borage likes a lot of sunlight (as a naturally gangly, sprawling plant, sunlight will help borage become more sturdy). This plant also grows quite large – around three feet in diameter at most – so be sure that you have the space to spare. These are not picky herbs, and can live in almost any soil, although it is important to keep them well watered. If you have fertilizer to spare, feeding borage will increase flower and leaf yields. 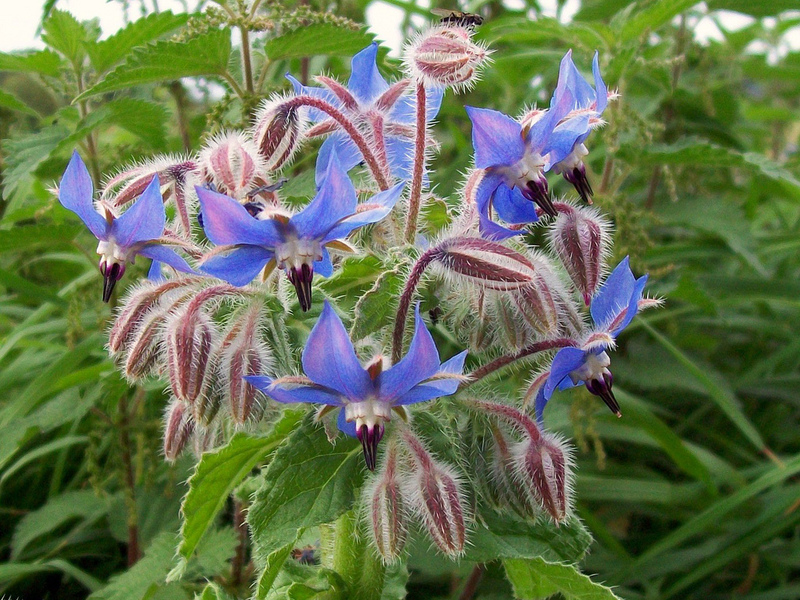 The leaves of the borage grow prickly with age, so they are best nipped when young and soft. Put borage where you’d put cucumber: in tea sandwiches and in water. Borage flowers are beautiful on top of cupcakes. Borage seeds can be found online, or in Hamilton’s Rural King. Consider this blue-blooming herb for your garden!